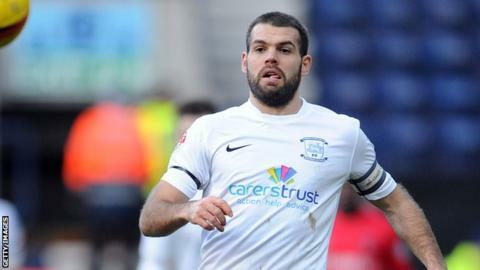 Preston's John Welsh claims players' union the Professional Footballers' Association provided little support when he and 12 others were investigated over alleged spot-fixing. He was arrested in 2014, but the Crown Prosecution Service (CPS) dismissed the case because of insufficient evidence. Asked if he expected more support, the 31-year-old said: "I got help from the football club but didn't from the PFA." PFA chief Gordon Taylor responded: "We did all we can." Taylor told BBC Radio Lancashire: "These were arrests and these lads were on bail. Speaking to [PFA assistant chief] Simon Barker, he went over to Preston on that day in April when the lads were arrested. He spoke to the players and manager Simon Grayson. We were in touch eight months ago about this situation. "That help was offered to them, but we had to abide by a due process of law. They were serious allegations. All those players were told if they needed help they could come on to us." In April last year, seven players from Football League clubs - including six from Preston North End - were arrested in connection with alleged spot-fixing, and another six were re-arrested over the claims. The CPS said it did not believe there was enough evidence to "provide a realistic prospect of conviction". "They (PFA) come every year and explain what they do," the midfielder added, admitting he had spoken to Barker briefly after he had been arrested and bailed. "This is probably the biggest thing that's ever happened in my life to do with the police. When something like that happens it's when you need the help most."